It was about January 29, 2014 when my 3-year old laptop died on me. I was watching Haunter when a colored screen appeared for 3 seconds then turned off. Tried turning it on, beeps a couple of times. From that moment on, I knew I needed a new rig. The TrinityFX a week later, was formulated. The name consists of two parts, Trinity and FX. It joins two of my favorite interests, technology and video editing. Partly technology because of AMDs trinity lineup of APUs (though trinity APUs wasn't used in the build, but it's heavily related to technology), and FX which is a diminutive word from Visual Effects or VFX from the field of film/videography. It's a mid-range desktop pc. Capable of playing AAA-games at medium-high settings. While I'm not a huge gamer, playing casual games such as the Grid Series, Battlefield 3, Mortal Kombat, ETS2, and the Sims 2 is a stress-reliever. They play well with the given GPU @ 1080p. Half of my other interest, which is performing video edits, is quite excellent on this machine. The i5-4440 is capable of outputting lots of processing in NLEs (Non-Linear Video Editing). The 260X helps a lot too using its Stream Processors to make use of the OpenCL api. Premiere Pro CC and After Effects CC works well. GPU Acceleration is great and can handle edits of 1080p footage from a DSLR just fine!. CPU: The i5-4440 is a quad-core processor clocked at 3.1Ghz. While it's not a k-part cpu, it's adequate for casual gaming and video editing. I could have gone for the 4670k but I would be slightly over budget at the time of purchase. Motherboard: One of the cheapest Z87 motherboard out there at the time of purchase. For about $90, it's well worth the purchase. Once built, I haven't got any issues booting up, the UEFI bios is great with lots of options. MSI's fast boot is impressive (under 20 seconds boot-up time in a standard hard drive in W8.1). The Sound Blaster Cinema is good but not great imo. Ram: For $40, it's good. I'm currently looking at a possible upgrade to 16GB in the future. You might think it's exaggerated, and it does - in the gaming standpoint. In Video Editing, NLE's tend to leverage all of your memory and therefore improve performance significantly. Right now, it's fine though. 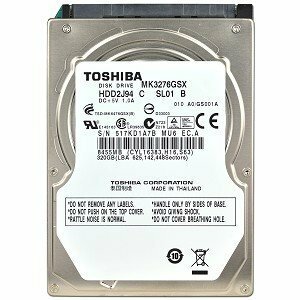 Storage: I've actually got two, a Toshiba 500GB 3.5" 7200RPM boot drive and the Toshiba 320GB 2.5" 5400RPM. As some of you might have guessed, the 2.5" was salvaged from my laptop and is used as secondary in my current desktop. I'm looking forward to buy a Crucial MX100 240GB in the near future to set as bootdrive. In the meantime, I'm pleased with my current setup. GPU: While some of you might argue that I should've waited for the price drop on the 270X - at the time of purchase, this is all the store has got. It was expensive back then, at around $170 when I picked it up. It features 2GB of GDDR5 memory and will be more than enough for the most part. I'm not thinking of upgrading this sometime in the future because it fits my current needs (casual games & video editing). Case: About $40, It's a killer. Those cable management features are fantastic. I was able to keep most of my cables tidy due to the 20mm space behind the motherboard. 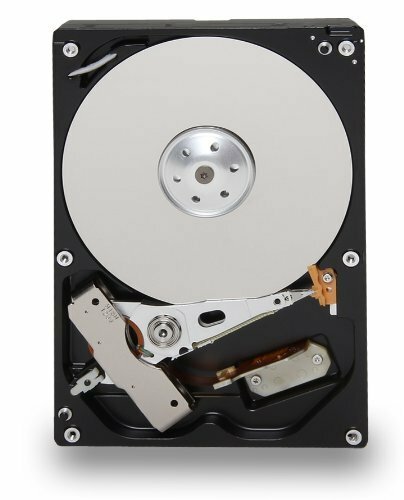 I was a little bummed out because the hard drive cage is non-removable and/or change the orientation of the cage to further clean the clutter caused by the hard drive cables (as seen in the picture). It comes with one 120mm fan and it's not bad. I keep my case always opened so it's more ventilated. Temps are within reasonable range for the gpu (Just shy under 70c under load & 40c at idle) without the side panel and the air conditioner turned on. PSU: Honestly, I was a bit skeptical when I picked this up. The Cougar SL500 is not that "well-known" unlike most popular brands such as Corsair, but given the time this article is published and the time it was built, I'd say it's working great!. OS: Windows 8 received lots of negative notions in the past year. 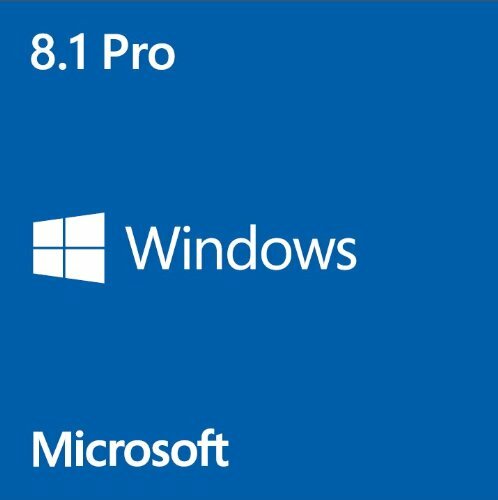 Windows 8.1 came and it provided fixes for the common issues reported. I didn't hesitate getting the OS because it was free (College Dreamspark program by Microsoft). I tested it and til' today it's superb. It's speedy and works great. I have nothing against Metro UI but I have mine set up to boot directly into the Desktop mode. -- UPDATE -- RAM: Added 8GB HyperX 1866Mhz in tandem with the 4GB for a total of 12GB DDR3 running at 1.6Ghz in Single channel mode GPU: Changed 260X for an Asus GTX 660Ti TOP Edition STORAGE: Added a Samsung 850 Evo 120GB SSD which is my current OS Drive and the 500GB will be my 2nd. FANS: Added 2x Corsair AF120 White LED for exhausts. The stock 120 is an intake upfront. I would like to thanks PCPartPicker.com for letting me post this wonderful adventure of mine and to those who have read this. I couldn't agree more. I guess I just had a bad timing. Even the 750Ti was released a week later after I went out and bought these parts :( Nonetheless, I'm not regretting any of my decision to purchase :) There's always that time you buy, then a week later something comes out of the corner that's cheaper and offers greater performance. I would change that PSU, and that GPU is pretty unbalanced, but if you upgrade, the CPU won't hold back a high end GPU, so it goes both ways. The PSU's fine. 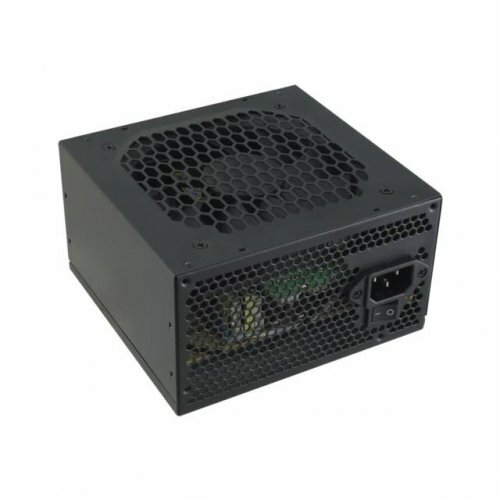 Though I was looking for an upgrade to a modular psu like the CX600M. I'd be better off spending that money to buy an SSD. And if I may ask, what do you mean "unbalanced"?. It's more than enough for my games and editing. 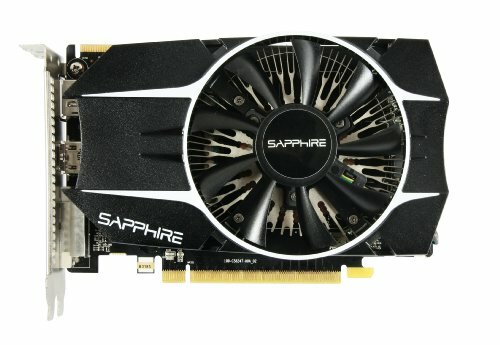 Buying a $400 gpu is way overkill for my needs. In this case, it wouldn't be necessary to get such a powerful CPU, as your GPU will hold you back. A balanced build is where neither the CPU or GPU are holding each other back. As for the PSU, unless you have torn it open and checked the power draw at load temperature and then idividually checked each Raul's power capacity, you don't know if it's "fine". I personally would never touch a PSU that hasn't gotten a good review from Jonnyguru or another reviewer, and at the very least you should always get PSUs with Japanese capacitors (usually advertised on the box) instead of the cheap Chinese ones. A PSU is a component that can wreck your whole system if you chose a bad one, so it's generally worth the extra 10 or 20 dollars for a good one. I'll be upgrading my PSU soon if that's the case. I really thought generic psu's were the worst and I thought this psu was certified and was non-generic. And I'm planning on getting the CX600M soon. The CX600 is still only mediocre. 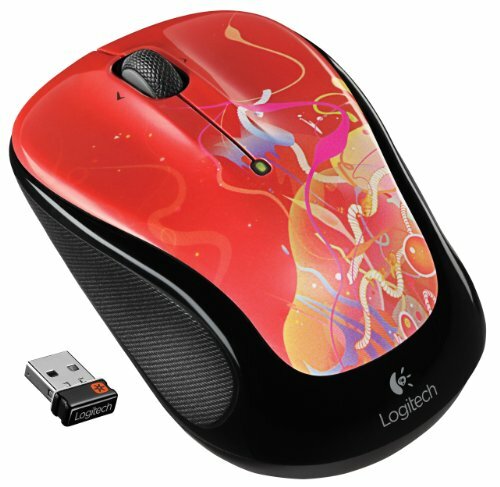 Grab a CS550M for the same price. Nice job with cable management. To be honest, you could have gotten a better $600 dollar build. I live where prices of parts are usually overpriced. And if i have waited a week later, then I could've gotten a better build. Personally as an AMD fan, I would have chosen something overclockable, like the 8350. And I feel you could have gotten a bit more of a gpu for the money. For what you use it for, this is a great build, but I don't edit and render videos very often, so I will +1 it. Nice build. Love budget builds.